Lake Wabby is one of the many freshwater lakes on Fraser Island. It is easily identified by its rich green colour and its half-moon shape, bordered by sand and dense rainforest. The Lake can be found on the banks of the Hammerstone sandblow on the eastern side of the island, which borders the lake on its sand side. Lake Wabby is unique in that it it both a window lake and a barrage lake - the only one of its kind found on Fraser. A window lake is formed when the ground level drops below the water table exposed the existing water, as seen with Lake Wabby. A barrage lake on the other hand, is classified as a lake that is formed when sand accumulates and blocks the water from a natural spring or other water source. Hammerstone prevents the lake from emptying into the ocean or joining with any other water sources. The two factors combined make Lake Wabby what it is, creating a crystal clear oasis that is perfect for swimming and sightseeing. Unlike most lakes on Fraser Island, Lake Wabby is home to several species of fish. Fraser's other lakes tend to be too acidic to sustain life, while Lake Wabby has an ideal PH for life to flourish. 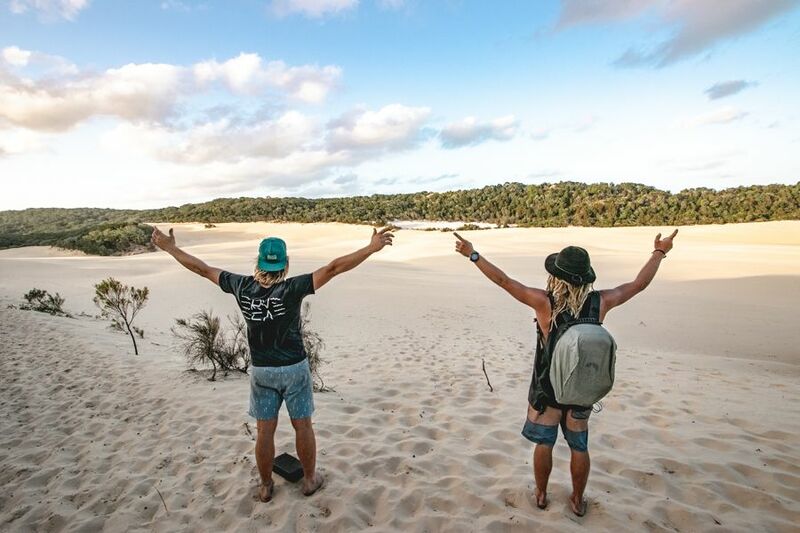 It is also the deepest of all the perched lakes on Fraser island, measuring 11.4m at its deepest point. While Lake Wabby is currently thriving, its lifespan is coming to an end. Unfortunately, the encroaching sand dune will swallow the lake up in a hundred years or so and Lake Wabby will cease to exist. In its place will be a filled in hole that once used to be a lake. 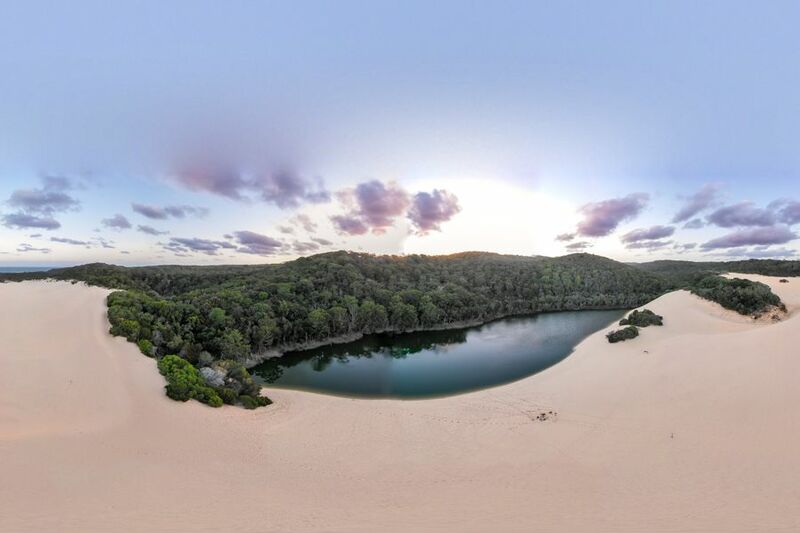 Fraser Island continues to change and morph with Lake Wabby as an ever present reminder that we have enjoy its beauty while we can.